Showing with Skylark Galleries, as I have done for about 15 years now! 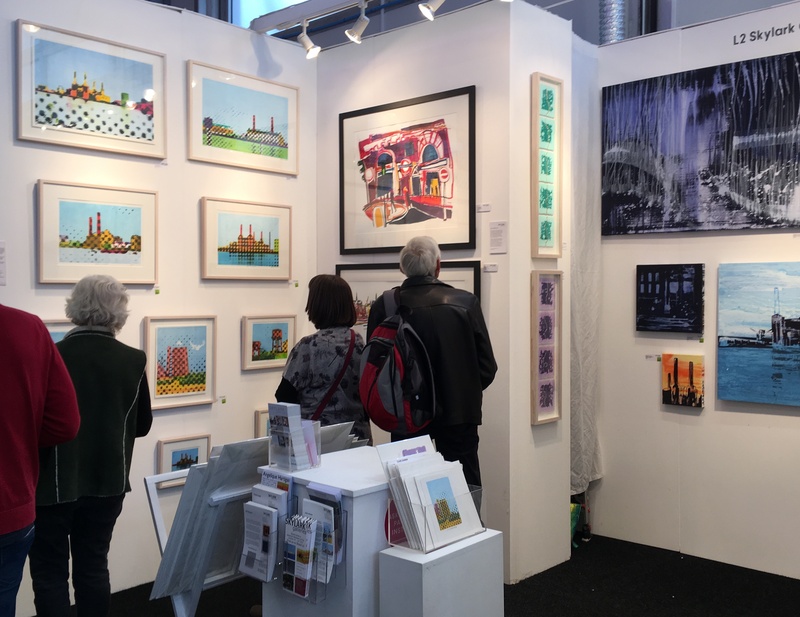 This year I almost didn’t take part at all, then at the last minute I decided to take that thin strip of wall just perfect to show my latest long and thin pieces. In retrospect however, I realised that to really make an impact and get noticed, you need to have a much larger space than 50 cms. Hmmm! It was inspiring to see the works of the other Skylark artists in this setting, and I always enjoy welcoming visitors to our stand.